Published on October 16, 2017. The last weekend of November and the first weekend of December 2017 will feature several superb events centering around beer (and wine) in Belgium, where lambic is either the main focus, or is an important part of the event. Read on for the details. 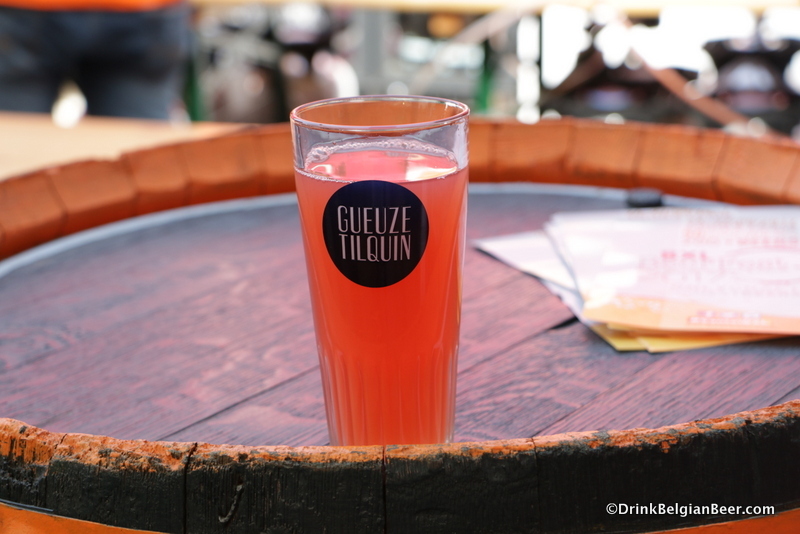 On November 25-26, the city of Brussels will host an important festival featuring several Belgian lambic producers, about 25 other breweries, and over 100 natural wineries. 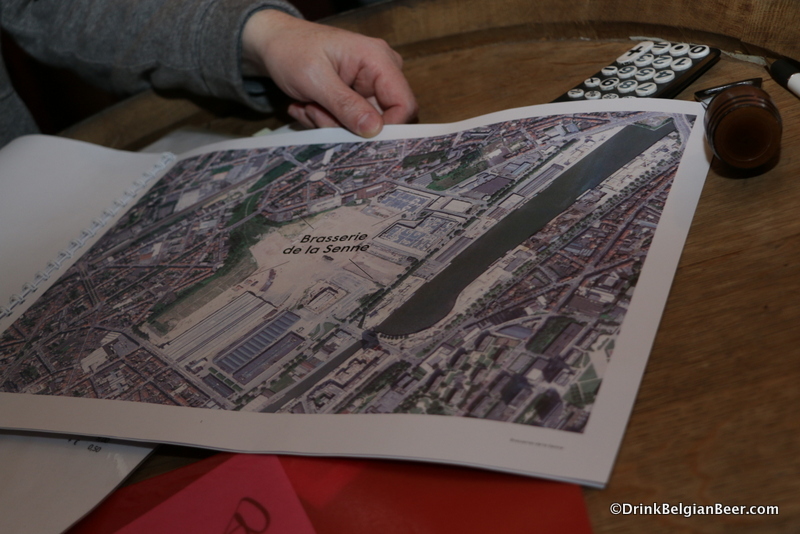 “Vini, Birre, Ribelli” translates as “Wine, Beer, Rebels” (VBR) and is being held at the large and historic Tour and Taxis event hall and exhibition center, to the north of the center of Brussels, off a waterway. Tour and Taxis is home to 100 year old warehouses that have been converted into shops, restaurants, and event space. I attended a chocolate festival there in early 2017, which was packed with artisanal chocolatiers from Belgium, France and elsewhere. It was a smorgasbord of chocolate. “Vini, Birre, Ribelli” will be held at Shed 4, at Avenue du Port 86C. Event hours for this 4th edition of Wine, Beer, Rebels are from 10 am to 7 pm on Saturday 25th, and from 10 am to 6:30 pm on Sunday 26th. Of special interest to lambic beer lovers is the fact that three of Belgium’s premier lambic producers-Brasserie Cantillon, Brouwerij 3 Fonteinen, and Gueuzerie Tilquin-will be present. 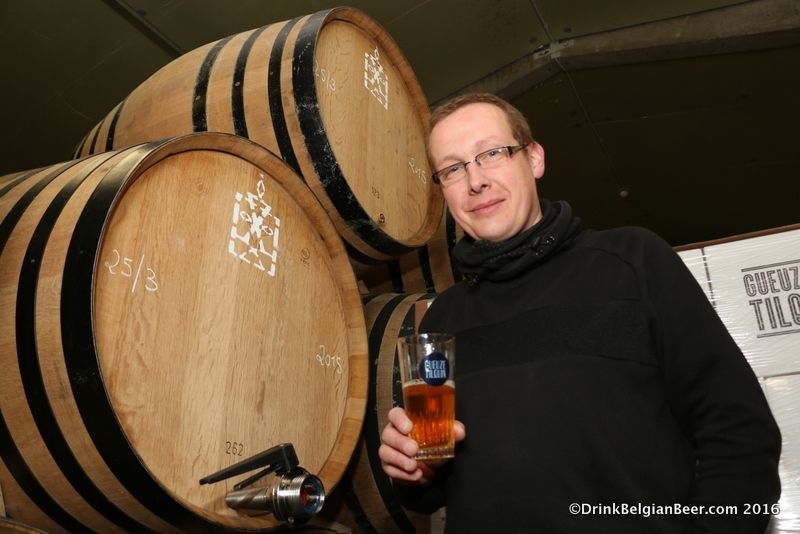 I asked those in the know at each lambic maker why they like the Vini, Birre, Ribelli fest. Read on for their responses. 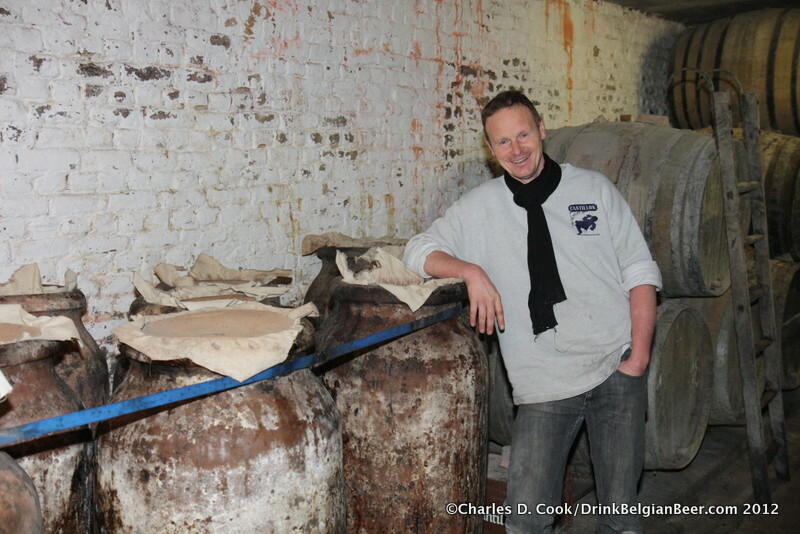 Jean Van Roy, brewmaster and blender of Brasserie Cantillon in Brussels, with some amphora in his brewery cellar. 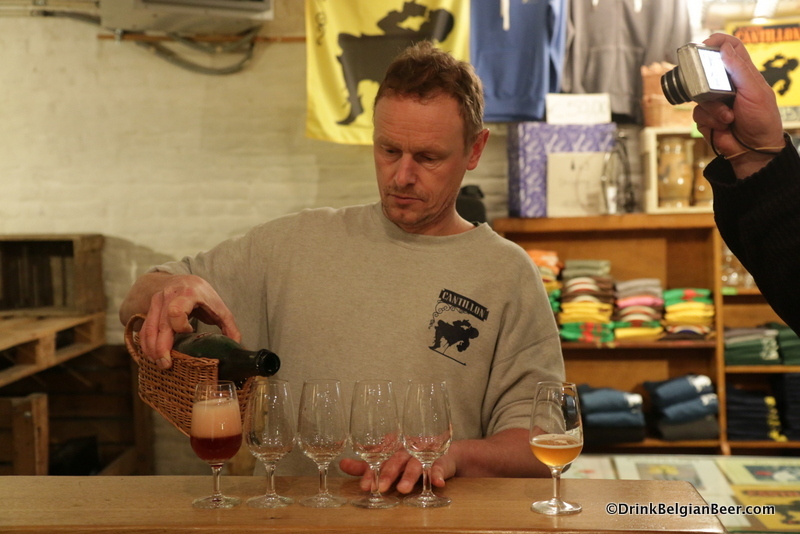 Brewmaster Jean Van Roy of Brasserie Cantillon pouring a 2003 Lou Pepe Kriek. 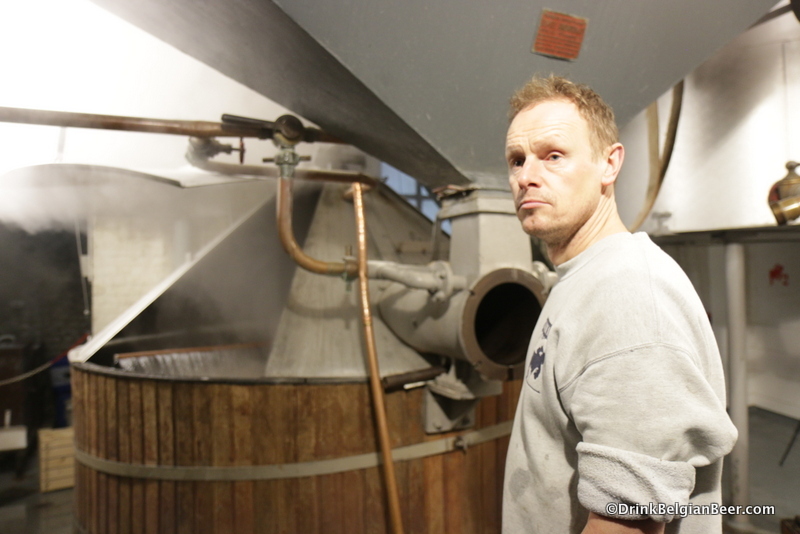 Brewmaster Jean Van Roy of Brasserie Cantillon, with his mash tun in action behind him. 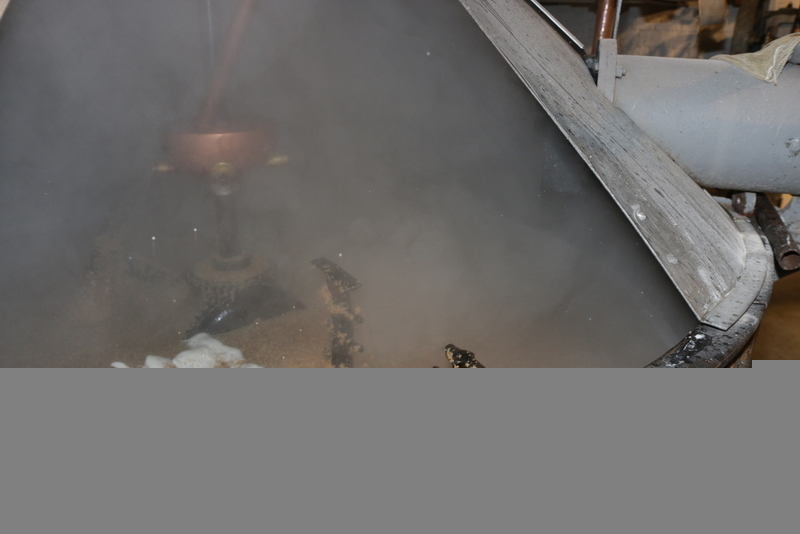 Brasserie Cantillon’s mash tun, in action, February 2017. 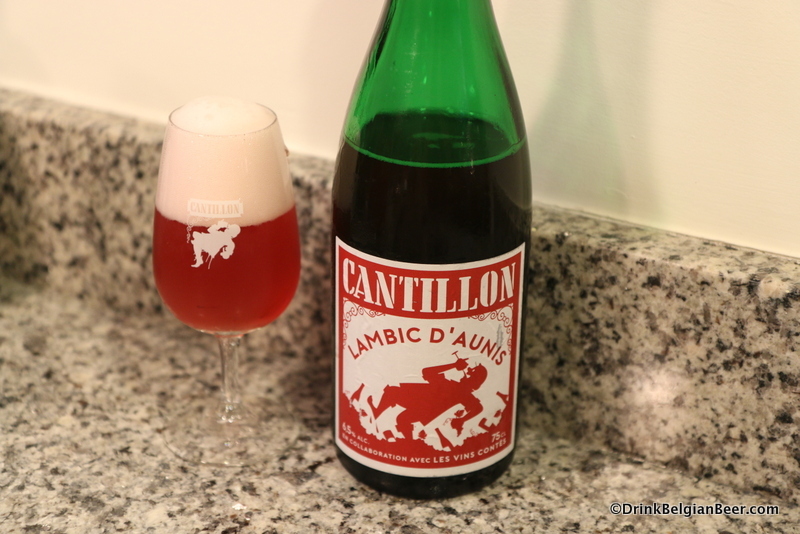 Cantillon Lambic D’ Aunis, one of the great lambic beers linked with wine. That, my friends, is exciting! Perhaps the next great lambic/wine beer from Cantillon will debut at the fest. 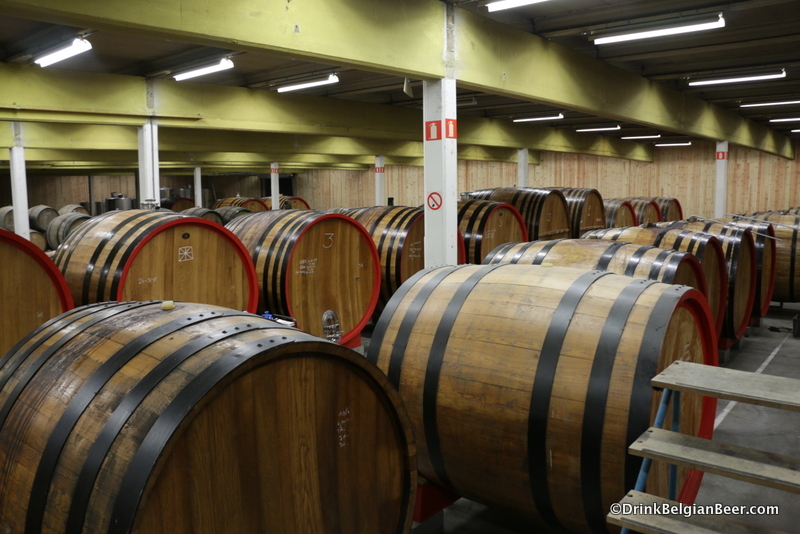 Lambic D’ Aunis and St. Lamvinus are two of my favorite Cantillon beers linked with wine, and who knows what else Jean may have maturing in his barrel rooms! 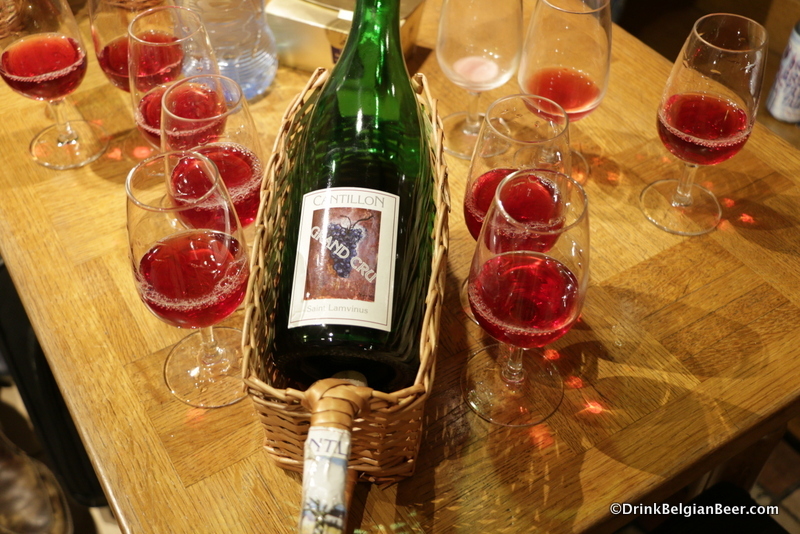 When he crafts lambic beers linked with wine, the results are usually superlative. Cantillon St. Lamvinus Grand Cru, an experimental blend with three year old lambic matured with Merlot grapes and one year old lambic. 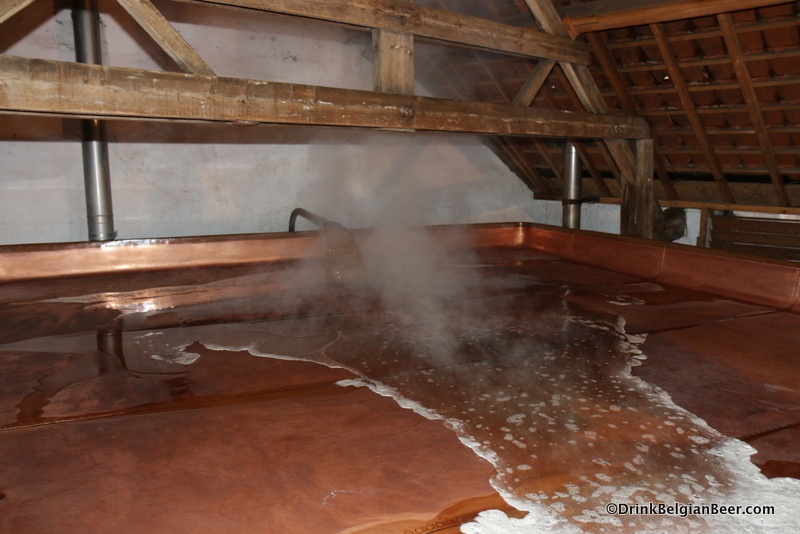 Hot wort being pumped into the coolship at Cantillon, February 2017. 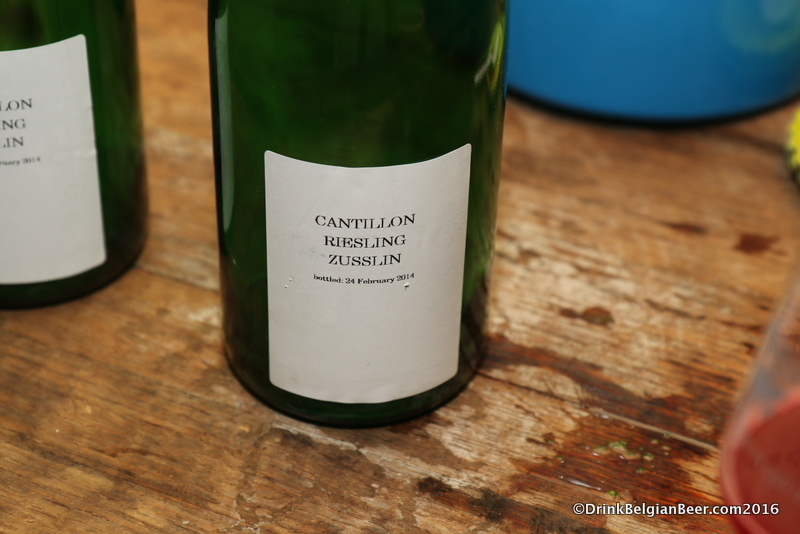 A bottle of Cantillon Riesling Zusslin, poured at Quintessence in May 2016. The Zusslin winery will be present at Vini, Birre, Ribelli. 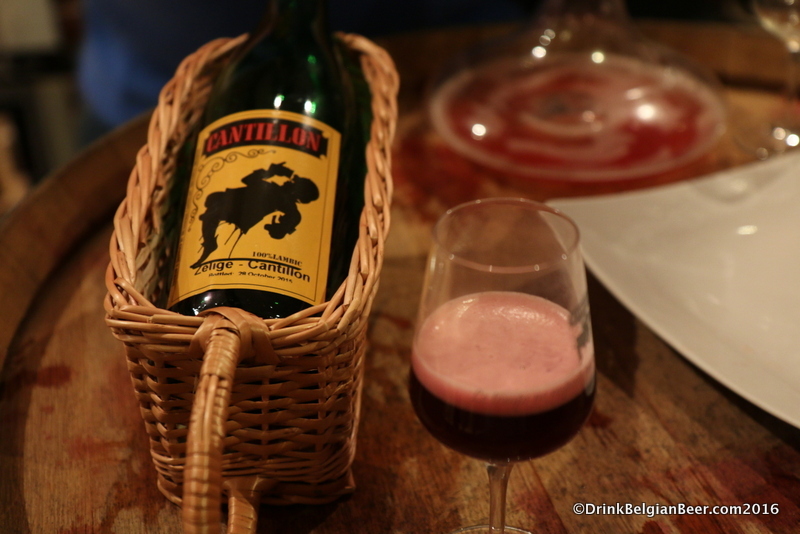 Cantillon Zelige, a lambic made with grapes from Domaine Zélige Caravent in France. 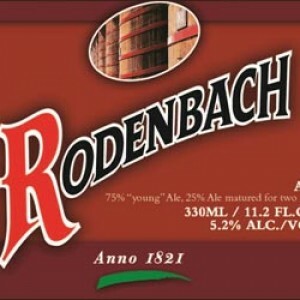 The great Moeder Lambic Original and Moeder Lambic Fontainas beer cafes are two of the sponsors of Vini, Birre, Ribelli. 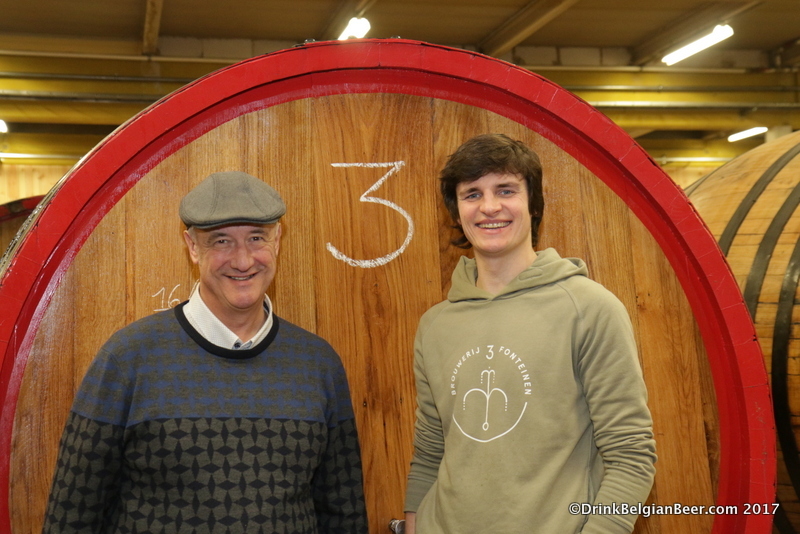 Armand Debelder (left) and Michaël Blancquaert, Brouwerij 3 Fonteinen. 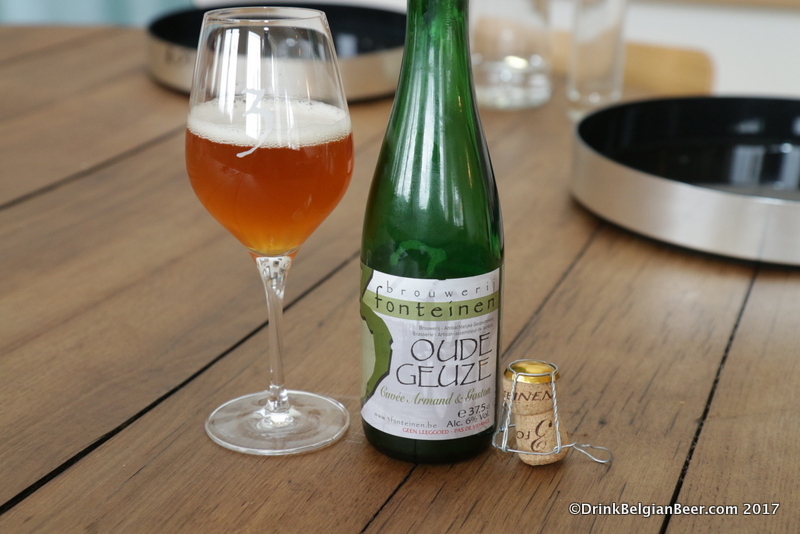 3 Fonteinen Zenne y Frontera (batch 1) a highly sought after lambic aged in very special sherry barrels. 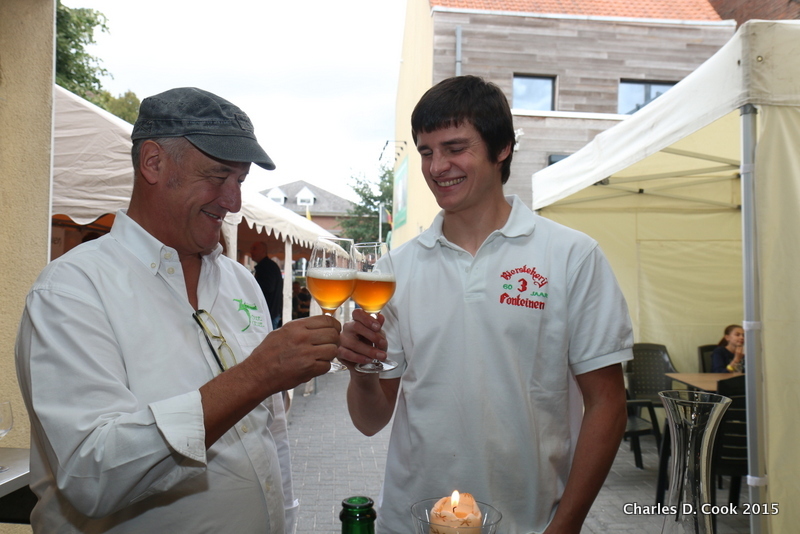 Armand Debelder, left, and Michaël Blancquaert savoring Zenne y Frontera during the brewery’s open beer days in September 2015. 3 Fonteinen Cuvee Armand and Gaston, brewed and blended with 100% 3 Fonteinen wort. Armand Debelder, left, with 3 Fonteinen business manager and brewery co-manager Werner van Obberghen, right. 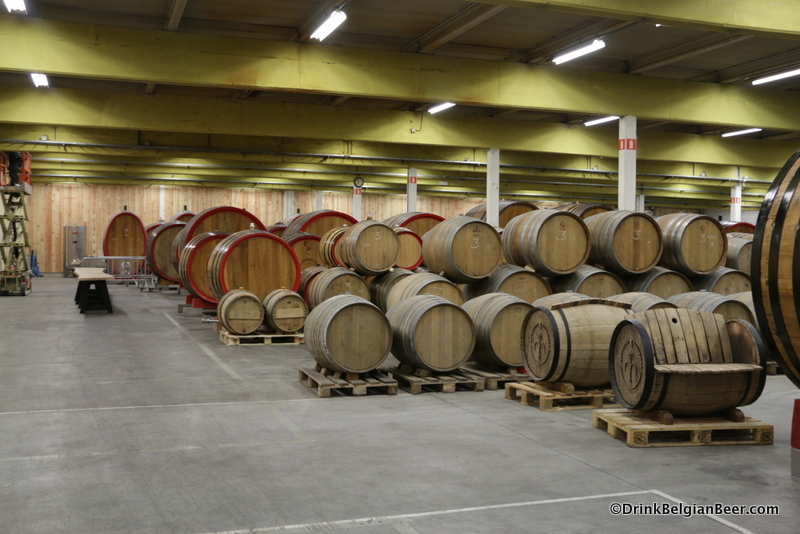 View of some of the foeders at the 3 Fonteinen lambik-o-droom in Lot, Belgium. 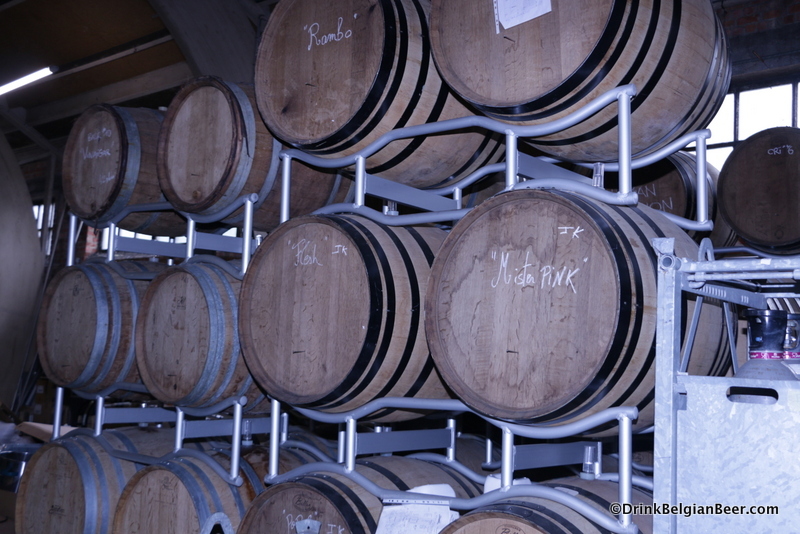 Some smaller barrels with foeders behind them at 3 Fonteinen’s lambik-o-droom. 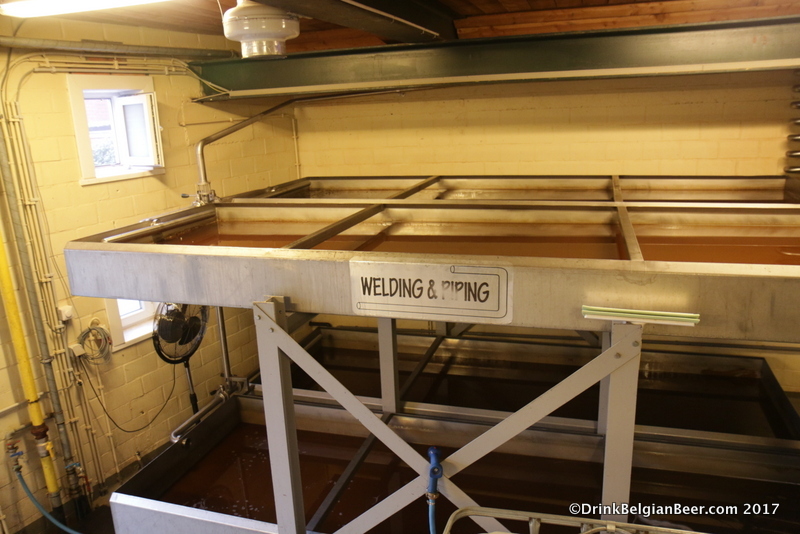 Brouwerij 3 Fonteinen’s double decker coolship, full of wort the morning after a brew day. The cold night air comes in through this open window in 3 Fonteinen’s brewery. 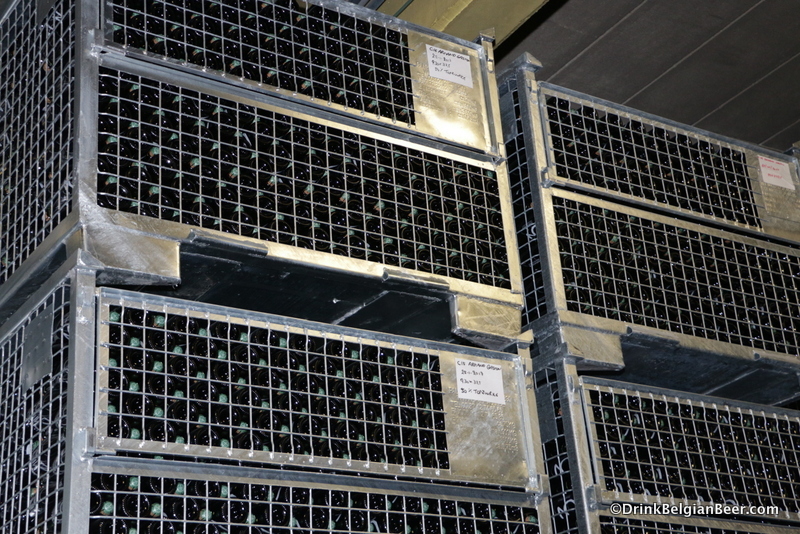 Thousands of bottles of Cuvee Armand and Gaston maturing at 3 Fonteinen’s lambik-o-droom. 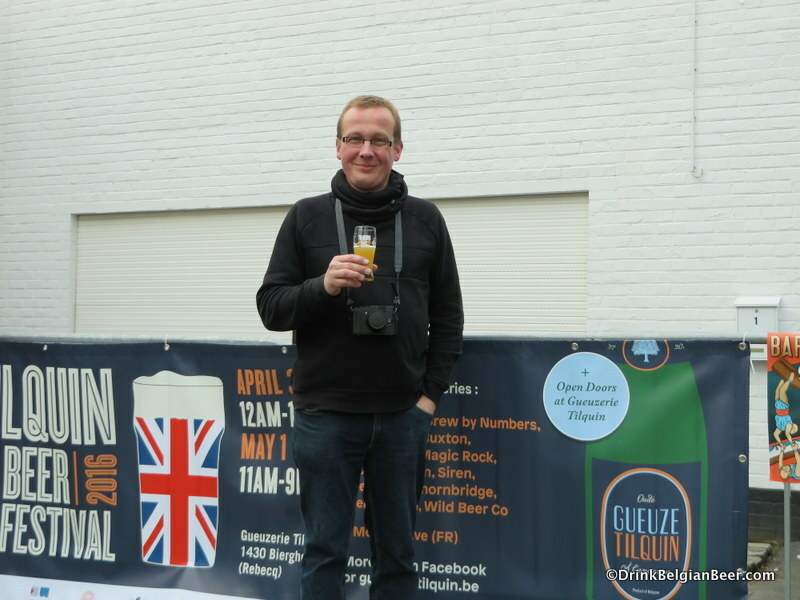 Pierre Tilquin, brewer-owner and master blender of Gueuzerie Tilquin. 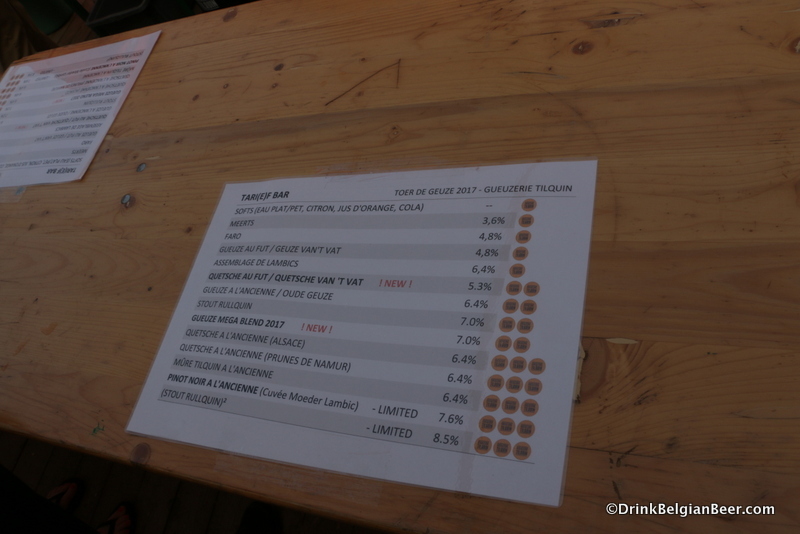 List of the Tilquin beers on offer at the blendery during Toer de Geuze, May 2017. A glass of Oude Pinot Noir Tilquin à l’Ancienne, a blend of 1, 2, and 3 year old lambics steeped with Pinot Noir grapes from Domaine Valentin Zusslin. 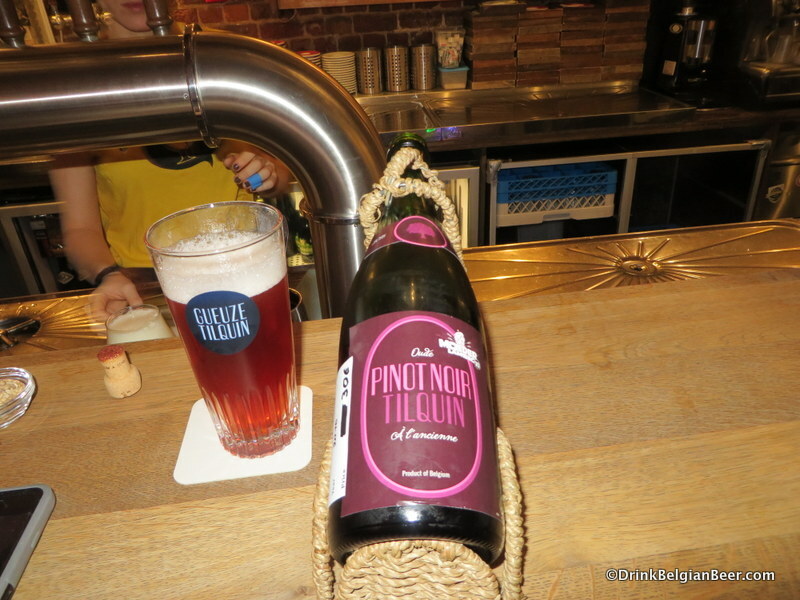 Oude Pinot Noir Tilquin à L’Ancienne, brewed for the tenth anniversary of Moeder Lambic Original. 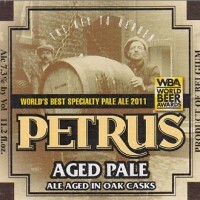 A second, larger batch was recently released for sale. A glass of the draft version of Oude Quetsche Tilquin à L’Ancienne. 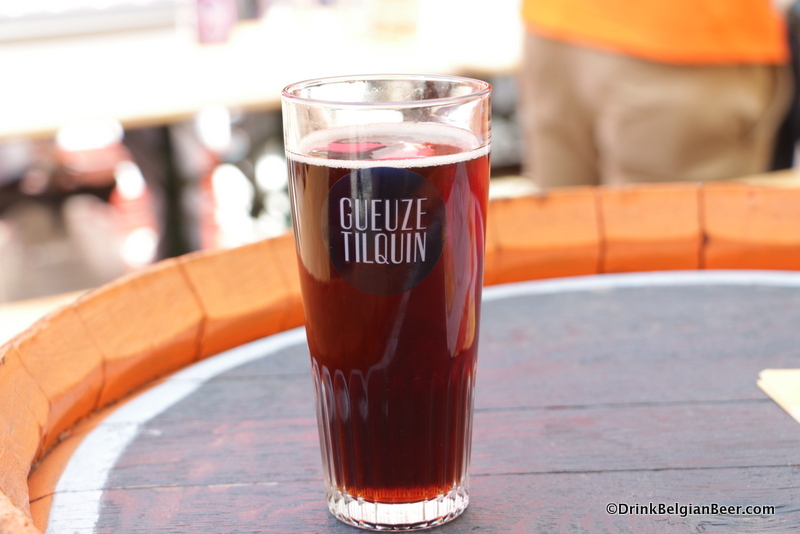 While all of the Tilquin beers are outstanding, the draft version of Quetsche was simply fabulous when I sampled it during Toer de Geuze in May. I highly recommend anyone attending the event to taste it if available. 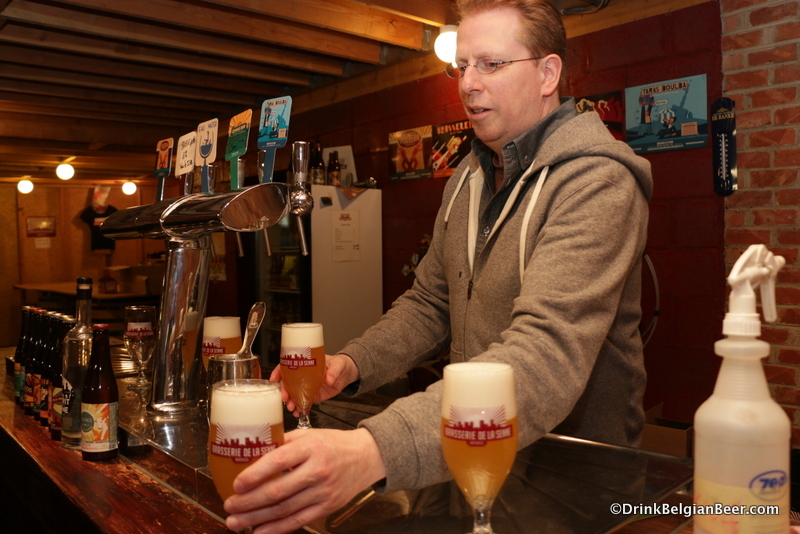 Yvan de Baets of Brasserie de la Senne serving up Taras Boulba inside the tasting room at the brewery in Molenbeek, Brussels. Barrels at Brasserie de la Senne in Brussels. 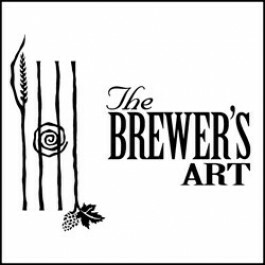 The brewery has crated several tart, sour beers and is experimenting with more. 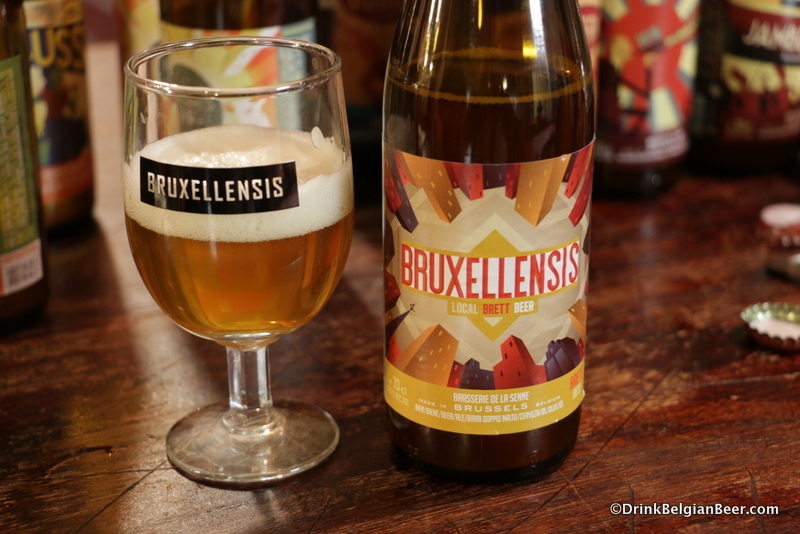 Bruxellensis from Brasserie de la Senne, brewed with brettanomyces. 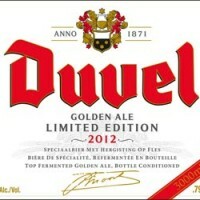 If you like Orval, you will like this beer! 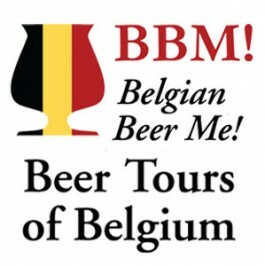 There are nine other Belgian breweries already on the exhibitor list, including world class ones such as: Brasserie de Bastogne; Brasserie de Cazeau; Brouwerij De Ranke; Brasserie de la Senne; and several others. 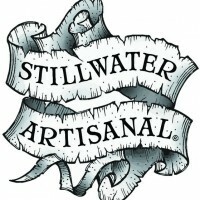 There are about 25 breweries on the list overall. Brasserie des Franches Montagnes (BFM) of Switzerland several other well known breweries from the U.K. and France will be present. An architectural conception of the planned new Brasserie de la Senne location near the port of Brussels and the Tour and Taxis expo center. Inside the Brasserie de la Senne tasting room inside the brewery in Molenbeek, Brussels. 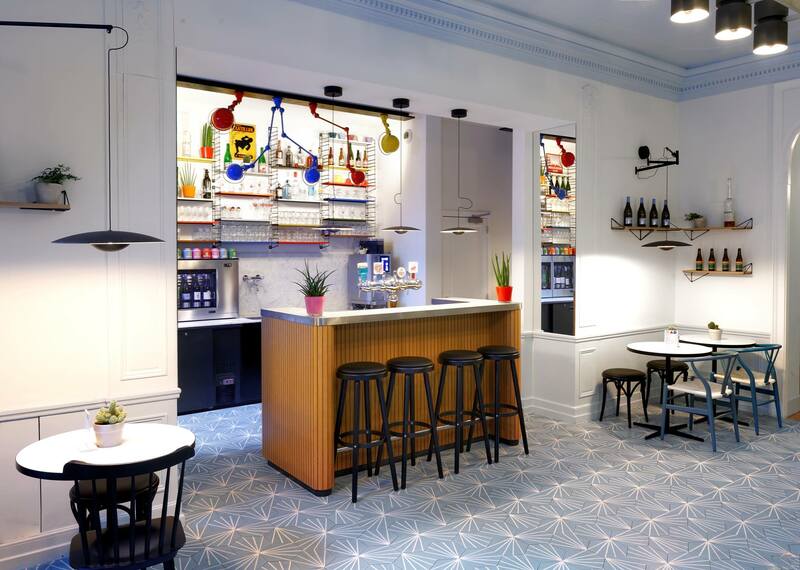 Brasserie de la Senne, in fact, is planning to move from its current location in the Brussels neighborhood of Molenbeek to a spot near Tour and Taxis in the future. 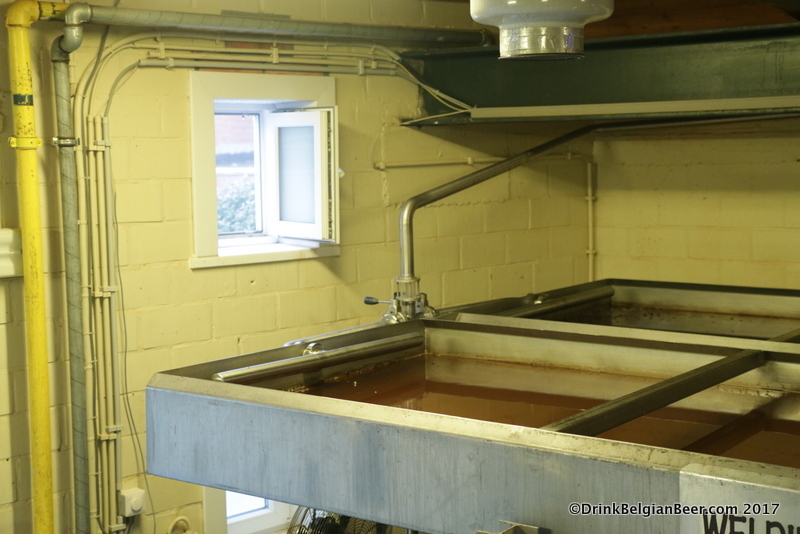 I have visited the current brewery several times, most recently this past May, and am happy to report owner/brewers Yvan de Baets and Bernard LeBoucq continue to brew a range of the most consistently high quality beers in Belgium, focusing on session-strength beers, but not fearing to crank out a few higher-alcohol brews. 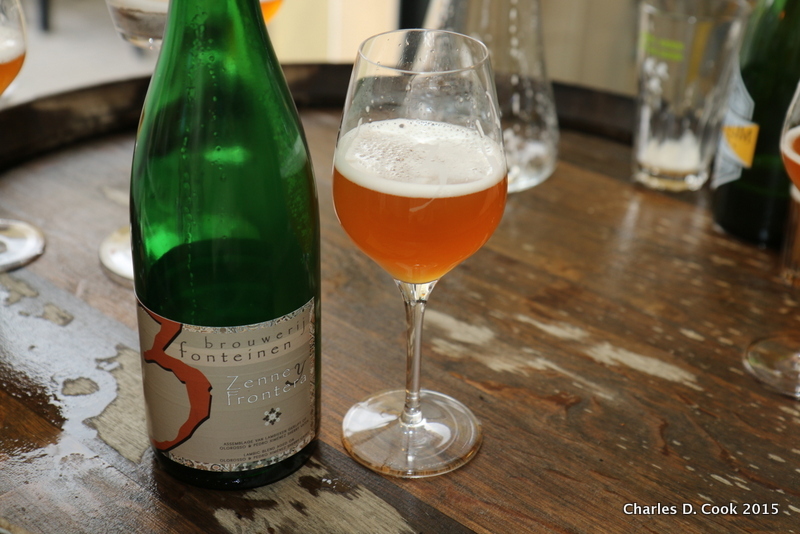 They also have been experimenting with beers brewed with brettanomyces: my group from the BelgianBeerMe “Wild and Spontaneous” beer tour of Belgium sampled three different brett beers, each a little more intense than the last. Read: we loved them! Yvan and Bernard are also working on some sour beers and blending, and barrel-aging. 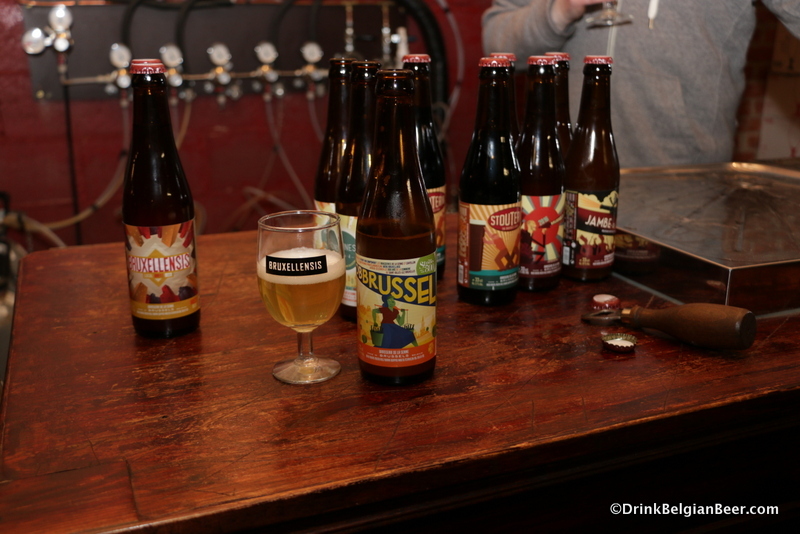 Several beers from Brasserie de la Senne. 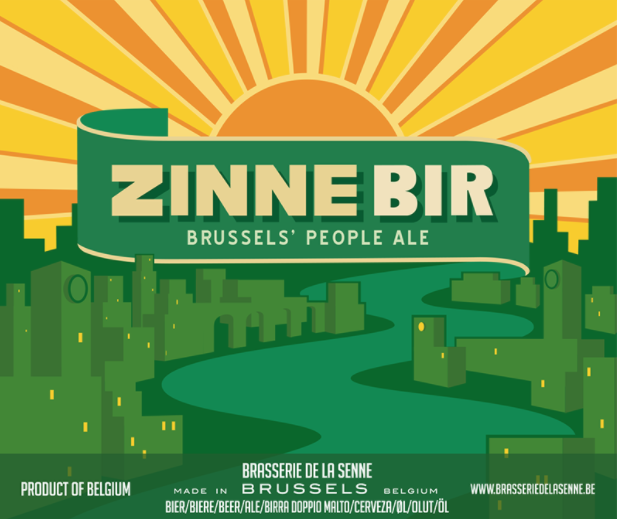 Zinnebir from Brasserie de la Senne. Vini, Birre, Ribelli is a Slow Food Event, and there will be a “Slow Food Village” in the event hall. There will be vendors on hand offering gourmet cheeses, foie gras, oysters, pizzas, and more. Vini, Birre, Ribelli will also likely be host to a number of talks and tastings of beer and wine by noted authorities, as well as book signings. 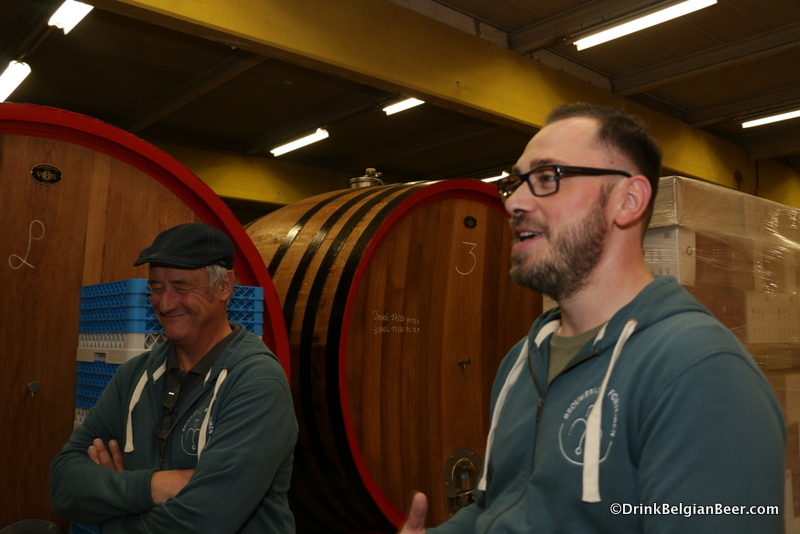 While the 2017 program has not yet been finalized, in the 2016 edition, lambic expert and author Lorenzo Dabove of Italy gave a tutored tasting “The Cantillon brewery and its intimate pairing with the world of wine” which sold out. No surprise there! For information about tourism in Brussels, see the website of the Brussels Tourist Office. The bar at Vintage Hotel in Brussels. 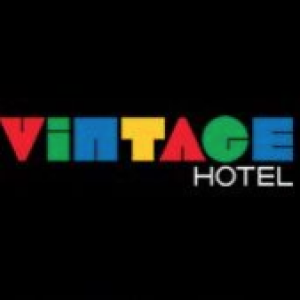 Photo courtesy Vintage Hotel. The draft list at Vintage Hotel in Brussels. Cantillon Kriek was on tap this day. 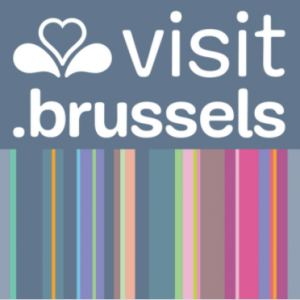 If you are looking for beer-friendly accommodation in Brussels, two hotels stand out in particular. 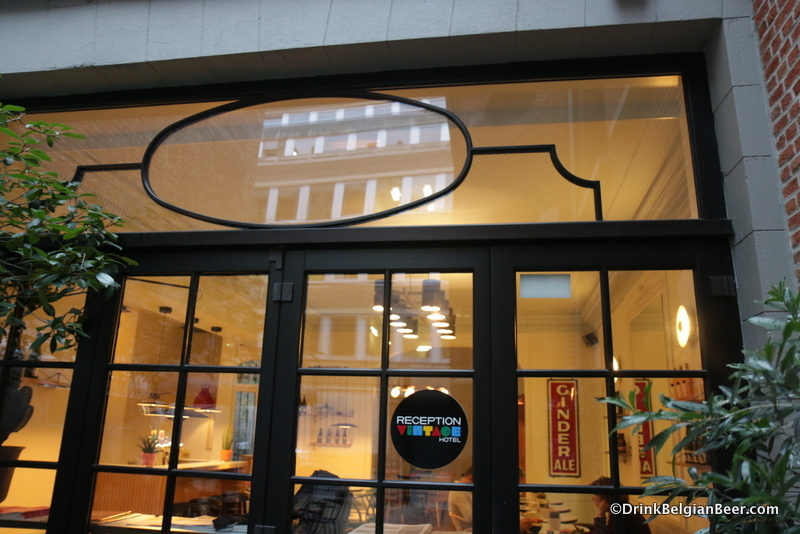 Vintage Hotel, at Rue Dejoncker 45, has four beers on draft, with one tap dedicated to Brasserie Cantillon, one to Brasserie De la Senne, and two others that normally have beers from Brasserie Dupont and Brasserie Bastogne on offer. 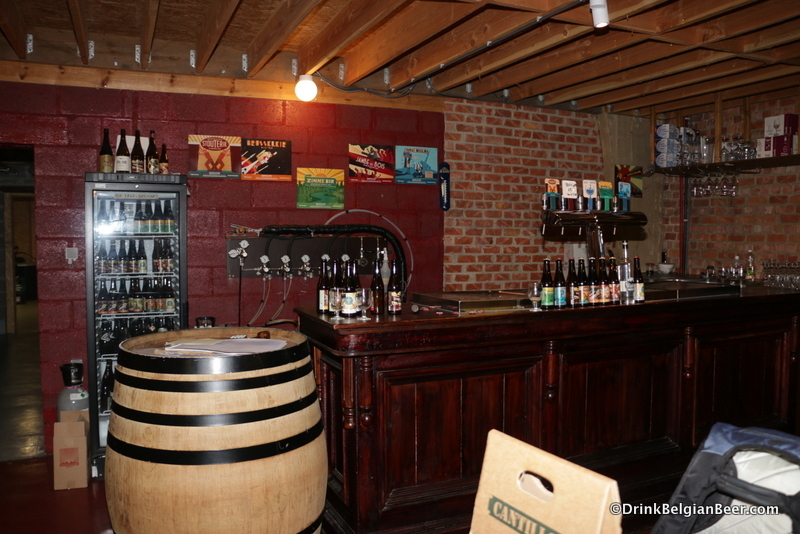 The bar also stocks Cantillon Bio Gueuze and Kriek in 75 cl bottles, and about 15 special beers overall. There is also a selection of good wines. 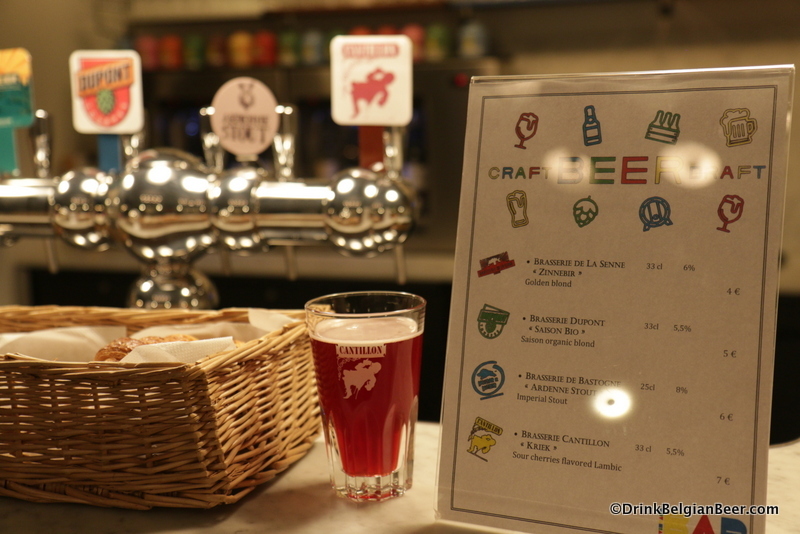 The Cantillon tap rotates, and has featured such brews as Kriek, Rose de Gambrinus, Fou Fonne, and other brews. The hotel has free wifi and comfortable rooms in a eclectic setting. You can even stay the night in a vintage 1958 Airstream trailer that sits at the entrance to the hotel, in its courtyard. The Airstream has been renovated and is fully equipped with heat and air conditioning, shower, wifi, plasma tv and toilets. Vintage Hotel is serious about its beeriness.